Andrew Barnabas (aka "Barn", Nightshade) was responsible for the background music in the original Creatures. He was part of the division of Millennium/Cyberlife that was bought by Sony Computer Entertainment Cambridge in July 1997. In June 2001 he left to form Bob and Barn with Paul "Bob" Arnold. Andrew also created the Creatures Montage, a track of music made up from the audio samples in Creatures. 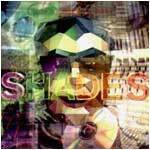 It was included on his first album, Shades. This page was last modified on 31 May 2016, at 22:22.